The Interreg V-A Latvia – Lithuania Programme 2014 – 2020 was approved by the European Commission on 30 November, 2015 and it continues cooperation started during the Latvia – Lithuania Cross Border Cooperation Programme under European Territorial Cooperation Objective 2007– 2013. The objective of the Interreg V-A Latvia – Lithuania Programme 2014 – 2020 is to contribute to the sustainable and cohesive socio – economic development of the Programme regions by helping to make them more competitive and attractive for living, working and visiting. The Programme area includes Kurzeme, Zemgale and Latgale in Latvia and Klaipėda, Telšiai, Šiauliai, Panevėžys, Utena, Kaunas in Lithuania. 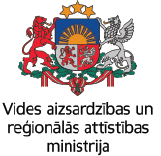 The total budget of the Interreg V-A Latvia – Lithuania Programme 2014 – 2020 is EUR 65,014,321.00, from which EUR 54,966,201.00 is ERDF co-financing. During 2014 – 2020 programming period ERDF co-financing for projects is EUR 51,668,229.00, but all project partners should provide their own financial contribution of 15% from the project partner budget. Public authorities (national, regional and local authorities), public equivalent bodies (meaning any legal body governed by public or private law) and non-governmental organizations can apply as project partners. As the Interreg V-A Latvia – Lithuania Programme 2014 – 2020 was approved in the end of 2015, in 2015 no activities related with the implementation of the Interreg V-A Latvia – Lithuania Programme 2014 – 2020 were carried out.